U.S. stock futures are rising on Thursday, and European stocks are higher as investors continue to tweak portfolios over the final full trading days of the year. 1. -- U.S. stock futures turned mixed Thursday, Dec. 7, and European stocks held higher as investors continued to tweak portfolios over the final full trading days of the year and looked ahead to the release of the U.S. jobs report on Friday, Dec. 8. General Electric Co. ( GE - Get Report) said Thursday it will axe more than 2,000 jobs in Europe as part of a worldwide reduction in its workforce that could reach 12,000 in an effort to cut costs by around $3.5 billion over the next two years. The stock rose 0.6% in premarket trading. Markets finished mixed on Wednesday, Dec. 6, but the tech-heavy Nasdaq posted a rebound, rising 0.21%, after recent selloffs. The Dow Jones Industrial Average declined 0.16% with the broader S&P 500 dropping by 0.01%. The economic calendar in the U.S. on Thursday includes weekly Jobless Claims at 8:30 a.m. ET, which serves as a taster ahead of the official U.S. jobs report for November. Economists surveyed by FactSet expect the U.S. to have added 190,000 jobs last month. Dollar General Corp. (DG - Get Report) reported third-quarter earnings of 93 cents a share, including charges of 5 cents from hurricanes. Analysts forecast profit of 94 cents. 2 . -- If Walt Disney Co. ( DIS - Get Report) purchases the entertainment assets of Twenty-First Century Fox Inc. ( FOXA , Disney CEO Robert Iger could extend his tenure, according to The Wall Street Journal. With the biggest acquisition in his company's history looming, Iger's tenure as CEO is likely to be extended beyond his 2019 retirement date, people close to Disney told the Journal. Disney is in negotiations to acquire assets of Fox valued at around $40 billion. The deal could be announced as soon as late next week, people with knowledge of the talks told the Journal. If the deal goes through, it likely wouldn't close until late 2018. 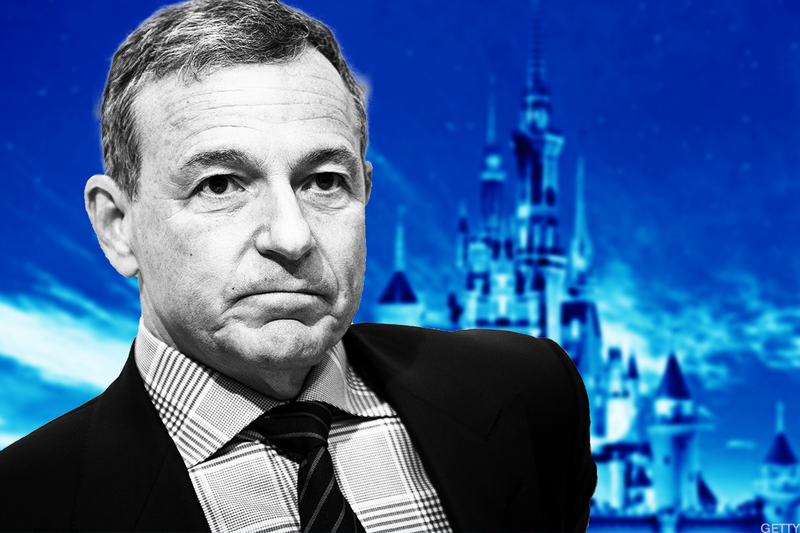 Disney, and Iger, would then spend much of 2019 integrating the two companies' assets, including cable-television networks, international TV distributors and a film and television studio. 3. -- Broadcom Ltd. (AVGO - Get Report) shares were rising 5.4% in premarket trading on Thursday after the chipmaker's fiscal fourth-quarter earnings topped Wall Street estimates. Adjusted earnings in the period were $4.59 a share, 7 cents above estimates, while revenue of $4.84 billion rose from a year earlier and also came in higher than forecasts. For its fiscal first quarter, Broadcom said it expects revenue of $5.22 billion to $5.37 billion, while analysts are expecting revenue of $4.83 billion. Broadcom's earnings for the quarter that ended in October got a big boost from high-end smartphones and cloud data centers, and a smaller lift from cars. Broadcom is a holding in Jim Cramer's Action Alerts PLUS Charitable Trust Portfolio. "Overall, we view this as a great quarter for Broadcom that confirmed our thesis about the company's role in Apple iPhone X production," wrote Cramer and the AAP team. " As we look ahead, the two keys for the company moving forward will be them delivering on their increased guidance, and them locking down their bid for Qualcomm ( QCOM - Get Report) . We view the potential of an acquisition of Qualcomm as highly accretive for the company, and if Broadcom can get the board and shareholders to get the deal done anywhere around $80, we see further great upside to Broadcom." 4. -- Shares of Alibaba Group Holding Ltd. ( BABA - Get Report) rose 1.1% in premarket trading on Thursday after Asia's second-largest company inked a deal with Ford Motor Co. ( F - Get Report) that could see the U.S. automaker sell cars through Alibaba's online retail platform in the world's fastest-growing market. Tmall, an Alibaba subsidiary and one of its two main online divisions, could be used to market Ford cars under terms of the deal, which aims to explore tech-related opportunities between the two companies. "Alibaba is excited to redefine the consumer journey and user experience for automobiles together with Ford Motor Group," said Alibaba Group CEO Daniel Zhang. "Our data-driven technology and platform will expand the definition of car ownership beyond just having a mode of transportation and into a new medium for a smart lifestyle." Ford shares rose 0.8% in premarket trading. TheStreet's Tom Terrarosa wrote that the move cements CEO Jim Hackett's vow when he took the helm of America's most recognizable car brand that Ford would not be left in the dust when it comes to technology. 5. -- Donald Trump's tax cuts aren't all good for Citigroup Inc. (C - Get Report) , which said it faces a $20 billion hit from writing off saved-up tax credits that will lose value if the corporate rate is cut to 20%. Citigroup Chief Financial Officer John Gerspach disclosed the figure Wednesday on a conference call with investors. Late last year, following Trump's surprise victory, Gerspach estimated the bank might have to write off $12 billion, but that figure was based on a projected corporate tax rate of 25% and didn't include $3 billion to $4 billion of potential write-offs due to changes in international tax policy. A big write-off would be an embarrassment for the bank's management, given that executives led by CEO Michael Corbat have pitched investors for years on the enormous value of its $45 billion of tax credits accumulated during the financial crisis of 2008, wrote TheStreet's Bradley Keoun.